$200 Up For Grabs, No Upfront Money Required! Its quick and easy, here's how it work. The Fantasy Season Last One Week - the most points scored wins the money! 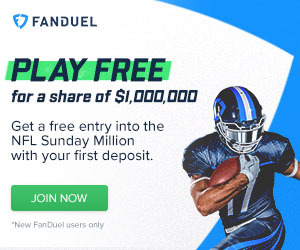 You get $60,000 dollars to create to team consisting of 1 QB, 2 RB, 3 WR, 1 TE, 1 K, 1 DEF - All NFL players are available to draft - Every player is available to you. You have nothing to lose and everything to gain, try it this week for FREE. Category - Fantasy Football News and Analysis - $200 Up For Grabs, No Upfront Money Required!